The New Balance NBG2004 Golf Shoes Black/Green feature a super supportive, microfiber-leather upper that is 100% waterproof. The ExoSkeleton TPU outsole is designed to provide natural support that moves with your foot. The RevLite midsole provides incredible cushioining and a responsive fit that lasts round after round. The Champ Slim-Zarma cleats provide excellent traction for all conditions and surfaces. I ordered a pair of New Balance NBG 2004 Black - Green size 14 golf shoes from Carl's. They were great, even helped us clear up a small error in the ordering process. The shoes arrived on the day that they were promised and they were in perfect condition. Have only worn them once and they fit perfectly and after my round, my feet didn't hurt. So far I am perfectly satisfied with my purchase. web site was easy to use to find my golf shoe size and color. Excellent communication on the order and shipment. My second pair of New Balance shoes first pair lasted almost 3 yrs. They're comfortable and fit well seemed to be little wider then normal golf shoes. shoes are comfortable and waterproof. Order was processed flawlessly and shipping was super fast. 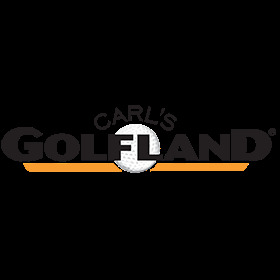 Great first experience with Carl's Golfland.